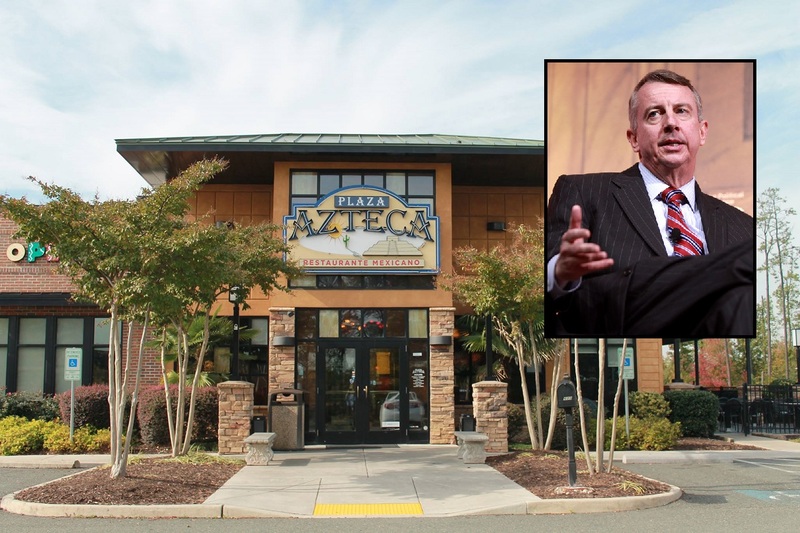 YORKTOWN, Va. — At a press conference yesterday Republican gubernatorial candidate Ed Gillespie took his stance against sanctuary cities a step further and announced his plans to shut down the Mexican restaurant chain Plaza Azteca if he wins the Virginia governor’s race. From the beginning of his campaign, Gillespie has voiced opposition to localities that limit their cooperation with federal immigration officials, known as sanctuary cities. He has pledged to keep Virginia free of sanctuary cities and guarantees deportation of anyone and anything not originally from America. Yesterday, Gillespie revealed that Plaza Azteca is included in the crackdown. Gillespie also used this opportunity to take shots at Democratic nominee Lt. Gov. Ralph Northam, claiming that although he stated otherwise, his rival does believe in sanctuary cities and it’s this support that has allowed Plaza Azteca to thrive. Plaza Azteca was founded in Virginia Beach in the late 1990s and has since expanded across the nation. There are currently 21 restaurants in Virginia, which Gillespie claims indicates they are a prominent threat that needs to be taken seriously. Gillespie then reiterated a major theme of his campaign by drawing a connection between Northam and the gang MS-13. “Unlike my opponent, who wants to continue allowing illegals to eat their table-side guacamole, I plan to banish them and their avocados in order to protect our citizens and our happy hours with $3 Virginia-made Budweisers,” he declared. Gillespie concluded with the promise that, if elected, he would also send ICE agents to Little Mexico in Richmond and launch a full investigation into the rise of Chipotle franchises around the Commonwealth.